Tops Shoes family of stores offers a variety of product and services including custom footbeds, shoe modifications/buildups, outsoles, and more. 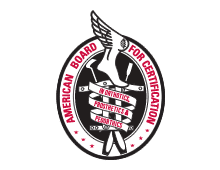 All of our stores have a certified pedorthist on staff to offer free foot exams and to sell the best shoes made in the United States and Europe. Extra-large sizes are also available. We serve Arkansas with great foot ware in different ways. Tops Shoes is our flagship store and has served Arkansas for over 35 years. Tops offers many great brands and has been a launching pad for specialty stores like our New Balance stores in Little Rock, Hot Springs, and Rogers. There we sell only the most supportive and best New Balance shoes in sizes ranging from infants to adult size 20, and widths from 2a narrow to 6e wide. Next our Red Wing stores in Little Rock and Hot Springs sell a large selection of the Red Wing family of brands including Vasque, Irish Setter, and Worx. Sole Solutions in Rogers is a miniature version of Tops Shoes and features SAS shoes along with other great brands. We also have a Mobile Truck with Red Wing branded work foot wear. Schedule a visit to your workplace soon, or check out when we'll be in your area! Services include: Foot Scanner, Quality Shoe/Boot Selection, Custom Footbeds , Shoe Modifications, Shoe Build-Ups, Out-soles and more. Free Foot Evaluations are always given. Custom Ordered shoes are also available. Come see us, call us, visit us on Facebook today!